Happy new year from Xiaomi - the most impressive newcomer unveiled the second version of its Redmi/Hongmi entry-level phone. 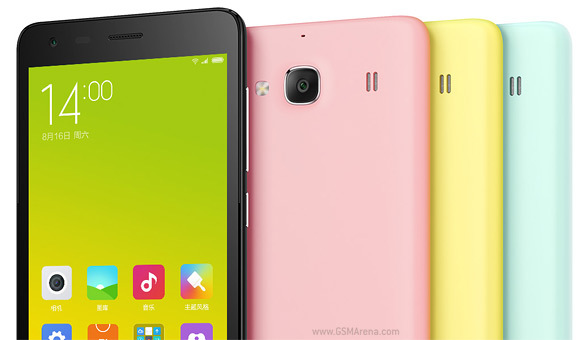 The Xiaomi Redmi 2/Hongmi 2 comes with a a 4.7" 720p screen, 64-bit chipset and dual-SIM/dual-4G connectivity. As expected, the new version stays fairly close to the successful formula of the original. The screen keeps the 4.7" diagonal, but the Redmi 2 is marginally more compact. The screen itself comes from Sharp and is a 720p IPS unit with 312ppi. Xiaomi has enabled color temperature adjustment. Inside is a Snapdragon 410 chipset - quad Cortex-A53 at 1.2GHz, 1GB RAM and Adreno 306. The software has been upgraded to MIUI 6, Xiami's customized Android distribution. There's 8GB of built-in storage, expandable with 32GB microSD cards. The Xiaomi Redmi 2 has two SIM slots, and one of those can serve for 4G LTE 150Mbps connectivity on both the TD-LTE and FDD-LTE networks (hence the Dual LTE mentioning). The phone will be available in three distinct versions for different carriers, but in all cases the second SIM slot only has 2G connectivity. Additional connectivity features include Wi-Fi b/g/n, Bluetooth 4.0, A-GPS + GLONASS + Beidou positioning. There's a microUSB 2.0 port that supports QuickCharge 1.0 to quickly fill the 2,200mAh Li-Po battery. The camera department didn't get much of an upgrade. The main camera of the Redmi 2 is an 8MP shooter from OmniVision. It has a 28mm wide-angle lens with f/2.2 aperture and can shoot 1080p video. On the front is a 2MP/720p camera. 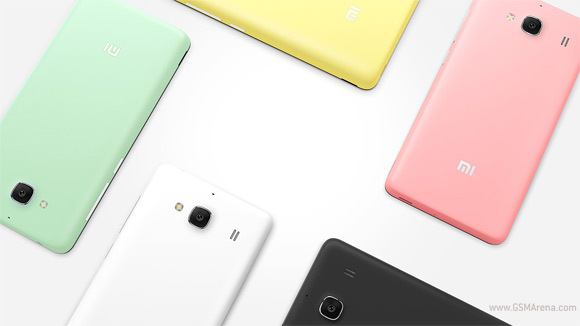 The Xiaomi Redmi 2/Hongmi 2 will launch in China on Friday (January 9) at CNY 700 - that's just $110. There is no official info on when availability will be expanded to other countries. Xiaomi is ramping things up quickly this year, the new Mi flagship is expected on January 15.